The video clip is a sample of the NLP Home Study Program streaming video that you will have instant access to when you invest now. Connect with Anyone in 90 Seconds or Less...get more yeses. 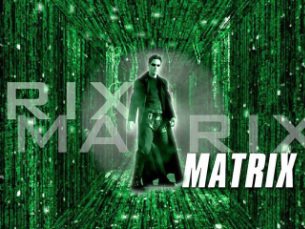 leverage the Matrix of communication information all around you. "Great read; what i truly enjoyed about this book was all the specific techniques shared on building a connection with another person. It's not just broad advice on relationships, he actually gives you exact techniques for quickly building rapport with anyone. If you have a big job interview, meeting, presentation, or a date with that special someone, try using some of the stuff in this book. I guarantee it will help you build a strong connection with anyone!" "You got some powerful information Mike! I'm done with the audio's and halfway through the Connect with Anyone in 90 Seconds or Less ebook. Once again thank you." Part One - Mindset – how to condition your mind to create instant rapport, see opportunities and have unstoppable confidence. Learn powerful and effective subconscious mindset concepts that will help you easily find and attract clients. Mindset (what you think, which causes you to feel confident or nervous and anxious - which ends up being projected to the world) is the foundation of your success. Your Mindset impacts your motion, words, voice and awareness. Part Two - Contact – how to make a positive first impression and instant rapport...at a subconscious level. You will become aware of key subconscious communication elements to create instant rapport, trust, confidence and just having everyone feel comfortable with you. You will learn subconscious communication elements like; how you move, how you approach someone, where you stand in front of someone, how you hand them information about you or the home, even how you say their name. Everyone senses consciously and at a subconscious level...out of our awareness and subconsciously it creates feelings...an intuition. Part Three - Conversation – how to maintain rapport and decodes someone’s communication style and their unique decision process. Discover how he or she needs to have solutions presented so it is a natural and easy decision to say yes! How to create trust and credibility in a casual conversation. Learn questions you can easily ask that reveal a person's interest, values, and desires. 9 dangerous words to avoid…certain words trigger negative emotions and break rapport or completely lose trust and credibility. Part Four - Follow-up – how to regain rapport trust and confidence during a follow up meeting. Learn a communication technique that will make your potential clients feel at ease and eager to meet with you. How to take control of a meeting with just a few words. 1. NLP Subconscious Communication Skills Program Audio - Connect with Anyone in 90 Seconds or Less! - four one-hour audio modules/sessions (A prerecorded NLP Subconscious Communication Skills Course training for business, sales and leadership that also applies to career advancement - because you always have to sell your ideas and influence with integrity). The NLP Course is based on Mike Aguilera's book 'Connect with Anyone in 90 Seconds or Less' and is the workbook for the course. The audios include addition techniques and strategies that are not in the ebook 'Connect with Anyone in 90 Seconds or Less! 7. Conquer the Fear of Public Speaking - 26 minute audio teleclass recording filled with techniques and tip on how to present with confidence. Learn: What are the root causes that create fear and what you can do to reprogram yourself to be a confident speaker. Two dangerous words that trigger fear. How to condition yourself to present with confidence. How to neutralize the shy factor - what to do if you feel and have been told you are a shy person. What to do if your mind goes blank during a presentation. Instant Access...at checkout Paypal will instantly direct you to download page.